In 1921, passionate automobile industrialist William Morris and talented designer Cecil Kimber， worked together and designed the race car of their dreams. They created the MG brand, which became a classic icon of British automotive history. MG went on to win numerous accolades including: pioneer of the British automotive industry, creator of the world speed record, and the highest-quality sports car manufacturer. 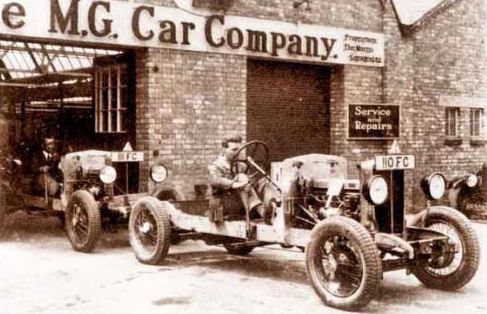 Since 1924, MG has upheld their core brand values of 'Individuality, Charisma, and Creativity'. This commitment is not only reflected in its visionary UK Design concepts, its precise UK tuning and its guaranteed safety performance but also in MG's unique brand proposition. MG strives to instill a sense of individuality and an elegant quality into the finest detail of every product so that it can become the spiritual totem of car enthusiasts worldwide. With the slogan 'Make the Difference' pushing it forward, MG has brought the world an unmistakably British automotive legend. Due to the acquisition of MG, it is now part of a Global Top 500 company that has opened a new chapter for this purely British brand. With a combination of the cutting-edge British and R&D capabilities, superior manufacturing processes as well as a spirit of constant innovation, MG's legacy will proudly continue on!